On the north-west tip of Orkney, the winds rush past Swannay off the Atlantic Ocean, a maelstrom of sea salt and spray. That’s one of the USPs of Swannay: that it’s not just a bunch of industrial estate tanks. Surrounded by fertile farmland, it harks back to the days of the local farm brewery, supplying workers with ale to quench their thirst from working in the fields. Swannay is very much a local brewery, still selling a quarter of its beer to the island. “Just recently, we are starting to brew more and more with locally grown barley, bere barley, a historic grain which we’re lucky enough to get access to. We try and weave Orkney into our beers and ideas,” says Lewis. The brewery currently uses two brew plants, one 20-barrel kit (roughly 3,000 litres) that does most of the volume, and a smaller five-barrel kit for experimentation. “The small kit is perfect for doing 500-litre batches,” says Lewis, who joined the business after moving to Edinburgh to study economics. It was on this kit that Swannay brewed its first beer, Scapa Special – its flagship pale ale that still accounts for around a third of its output – back in the early days, when Rob was making the beer as well as delivering it, washing casks, managing sales and basically running the whole company himself. Not long after, the small kit was up to four brews a week using just three fermentation vessels. With Lewis’s arrival, the 20-barrel kit was commissioned and today there are six people brewing Swannay’s range of beers four to five times a week. 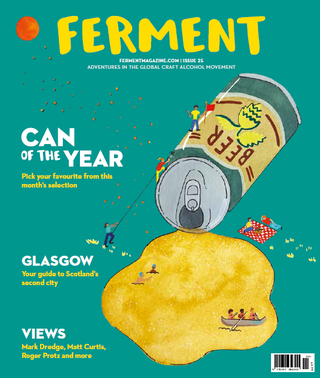 Not that things haven’t been working out with the old yeast: “All of our core range brands have won awards at national or international level – totalling over 100 in just over ten years of brewing – surely making us one of the most decorated Scottish breweries of recent times,” proudly proclaims the brewery’s website. With distribution now in Finland and Norway, the success of Swannay is evident, and the partnership between father and son is clearly a match of strengths. Strong, steady, and delicious, we can’t wait to see how Swannay’s plans for the future pay off.